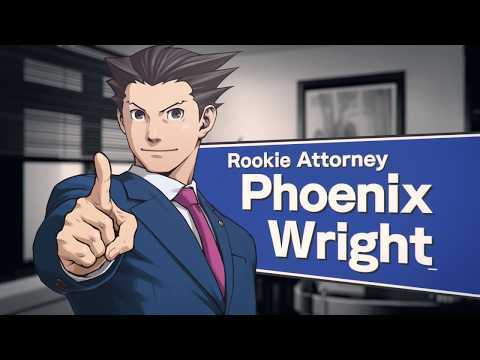 My experience with Phoenix Wright began and ended with his appearance in Ultimate Marvel vs. Capcom 3. But now the Phoenix Wright: Ace Attorney Trilogy is here! Collecting the first three Gameboy Advance and Nintendo DS titles, it's your chance to finally see why the spiky-haired lawyer is so popular, if you haven't already. Bringing together Phoenix Wright: Ace Attorney, Justice For All, and Trials and Tribulations, there's a lot of game in here, with spruced up visuals and a new life bar that helps you gauge your status within the case. Present the wrong evidence, and you'll be penalised by the judge. For budding lawyers, Ace Attorney sounds like a must buy. Is it also a must buy for everyone else? Read our definitive Phoenix Wright: Ace Attorney Trilogy review to find out.